Miss Posh Life™: Inspired By! M.o.n.e.y. Recent changes to BOA debit card policy had me thinking about money this weekend as I ran my errands...swiping away. I must re-aquaint myself with cash. 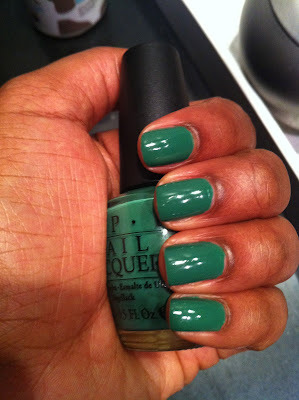 Here is my nail color of the moment. I felt it was appropriate. Stay Posh! Posh Locks: Carol's Daughter Monoi! Possessed: JCrew Vintage Inspired Bracelets!